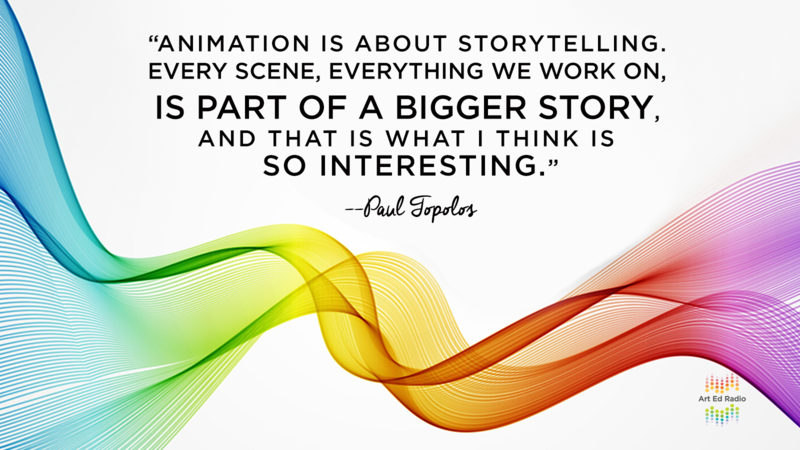 Animator Paul Topolos is known for his work on films such as The Incredibles, Cars, Toy Story 3, and the Star Wars prequels. He will be the featured presenter at the Art Ed Now Winter Conference on February 2nd, and today he is on Art Ed Radio. Tim visits Paul in his San Francisco home and studio for an enlightening interview on storytelling, artmaking, and inspiration. Full episode transcript below. 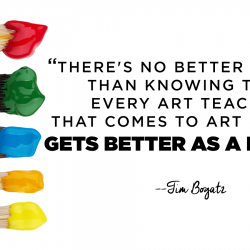 Tim: Welcome to Art Ed Radio, the podcast for art teachers. This show is produced the Art of Education University, and I’m your host, Tim Bogatz. This week’s show is coming to you from San Francisco, California. I’m here to interview Paul Topolos, who will be our featured presenter at the Art Ed Now Conference. Paul is an incredible animator, who has worked for Lucasfilm, on Star Wars movies and Star Wars video games, and then worked for Pixar. He has had a part in almost every one of Pixar’s feature films. You know you name it, like The Incredibles, Cars, Toy Story 3, Finding Nemo, Ratatouille, WALL-E, like the whole list. And I am excited for you to all hear from him here on the podcast, but even more so at the Art Ed Now Conference in a couple weeks. Now, I’m also excited because Paul is one of the nicest people I’ve ever met. He was kind enough to let us do the interview in his home, and the best part is, when we got here this morning, he was making this gourmet meal for me and for our crew. We’ve been lucky enough to interview a lot of famous people on the podcast, but I can definitely say that Paul is the first one to make breakfast for us. But, I’m guessing you want to hear more about animation than you do about breakfast, so let me bring on Paul here so we can hear what he has to say. All right, Paul Topolos is here with me now. Paul, first of all, thank you for welcoming us into your home, me and the crew, and secondly, how are you? Tim: Very nice. Very nice. I guess I want to just first start by asking a little bit about you personally. Can you talk about where you grew up, where you went to school, and how you ended up as an artist? Paul: Right. So I grew up about an hour north of San Francisco. I was born in San Francisco, and we’re filming right now in San Francisco. Petaluma is sort of a sleepy little … When I was growing up, it was a suburban neighborhood. The irony is, George Lucas’s, one of his first films, American Graffiti, was shot in Petaluma, and I remember my dad. My dad worked for Xerox. He was a repairman, and he remembers being at the Marin Civic Center, where they were shooting … George Lucas shot THX 1138, so I’ve got sort of George Lucas in my DNA growing up, because Star Wars, for my generation, was one of the biggest movies, so that’s what really kind of got me interested in film, in the art of film. My mom would buy me the art of books, of Star Wars, so that’s where I kind of learned that there were people, artists, that worked in movies. I would have all the posters up in my room. But yeah, it was … Yeah, if you saw the movie, E.T., that was kind of the suburban landscape that I lived in. Tim: All right, cool. Now, let’s talk about that Star Wars thing because I know you started out working at Lucasfilm, doing some video games. 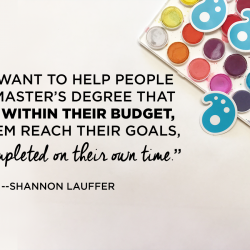 That was kind of the springboard for your career, but can you talk about how you came to find yourself there, how you got started, and then from there, the things you’ve done that kind of got you to where you are today? Paul: Right. Well, so because my dad was … He was a Xerox repairman, we always had paper around the house, so me and my brother would draw. My mom was a teacher, so she really kind of encouraged us to do that, and my brother and I were both … We were terrible at sports, so one of the things that we could do was draw. So that was always kind of in the back of my mind in high school. I was even thinking about, “I want to be a war correspondent photojournalist,” and then I realized I was a complete coward, and I was even thinking about being an EMT. My mom reminded me that I wasn’t very good at biology. And I remember even talking to an illustrator friend of mine, just saying … You know, one of my favorite teachers, I just loved his life. He would come in and teach life drawing, and I thought, “Well, that would be a good life,” and my teacher was telling me that I was putting the cart before the horse, that you have to establish yourself as an artist, and then you might be able to get a job as a teacher. But still, back when I had just graduated, I didn’t really know … I knew people that were working in illustration, in children’s book illustration. I was kind of hoping that maybe I would do that. But it wasn’t until I met a man that was working in film that it really kind of gelled all the things that I was interested in, because I was interested in film, I was interested in theater, I was interested in history, and literature. So that was what really made me see that there were people working in film, and that was something that I really wanted to do. And it was at that point that I really had to improve my artwork, to be able to attempt at trying to get jobs. And it was because I could draw fairly well people that I got my first job as a storyboard artist, which is … A storyboard is kind of like doing a comic book for the director, so that led me into doing storyboards for video games, and then that led me into doing storyboards for film, and then that led me into doing matte paintings for film, and concept design. Tim: Now, out of all those jobs, you know, when you’re talking about storyboarding, and matte boarding, concept design, you know, do you have a particular one that you enjoy more than others, or is it all just kind of whatever comes your way, that’s what you’re going to be doing? Paul: Yeah, that’s what’s sort of fun, is it is fun to put on different hats, to … I mean, I guess I always love the artistic feeling that you have, where you just lose yourself in a painting, and that happens to me when I matte paint because that’s … You are working on a painting maybe for a couple weeks, and you kind of get into this different zone. When I’m storyboarding, it’s very … It’s kind of stressful. You can’t listen to anything with … I can’t listen to anything with voices or lyrics, or I can’t listen to a documentary. But I remember, when I was boarding briefly on Episode I, I was so stressed out the only thing I could listen to was Star Wars music, and that … With storyboarding, you’re thinking of … It is kind of like constructing a sentence and telling a story in a sequential group of drawings, as opposed to a matte painting, which is usually an establishing shot, and usually a big painting full of tiny little things. When you’re doing texture painting, that’s a whole different skill set, but still part of the same world, where you’re trying to tell a story in a painting that gets put onto a piece of geometry. When you’re concept painting, that’s another thing where you’re trying to tell a visual story. But each one is a little bit different, but they’re all interconnected, in that they’re all trying to tell a story. Tim: Yeah. I think that’s really cool, and you know, that kind of leads me into … You know, you’re talking about this being stressful, and working on things repeatedly. I kind of wanted to ask you about your working process, and what it’s like to be at Pixar. Like, when you’re doing that, are you at the Pixar studios all the time? Are you working just 9:00 to 5:00, or are there a lot of late nights and long hours involved? Paul: Yeah. Well, luckily Pixar has gotten … They try and be really organized, as far as not trying to burn people out. On Incredibles, I did a lot of late nights. A lot of the movies I would do, I would work late. Sometimes just, though, on my own, just because you want to do a good job. But I think for people when they’re starting out, that’s … It’s a little bit part of … For me, it was part of my process. I remember when I was in the video game industry, I really wanted to be in the film industry, I think partially because it’s what you like to spend your time on. I had friends in the game industry who would go home and play games. For me, I like to watch movies, so the film industry was always where I was going towards. So I remember some friends of mine from Lucasfilm were working on a film called Titan A.E., and I knew that they were close by, so I asked them if they needed any help. And the guy said, “What do you want to do?” And I said, “I’ve always wanted to matte paint. I’ve never been able to matte paint,” so he said, “Paint a nebula. Have it on my desk tomorrow morning.” So, I stayed up all night and gave him a nebula. And he liked it, so all of a sudden, I was in the movie business, doing matte paintings. But it was doing … I think on that show, I did four all-nighters, not in a row, but that was just part of the dues that you kind of had to do. I mean, when I was working as a matte painter for the previous group, on Episode II, we would be working from 9:00 until usually 1:00 in the morning. And it was kind of our graduate school. And that was what got me into Pixar, was the work that I did at Skywalker Ranch. Luckily now, it’s … I think people are trying to have a good work-life ratio, but I think if it’s something that you really want to do in life, there are … What I’ve realized in life is that there are a few moments where you do have to jump into the deep end of the pool, and that’s usually when you do work that you never thought that you were capable of doing. And there are still times when you do do the midnight oil, and that you do extra work, and a lot of times, it’s for something that means something to you. I mean, especially … I kind of forget sometimes that you’re doing stuff that millions of people see, and that people will see of not big screen, and you don’t want to mess that up, and you don’t want to disappoint people. Tim: Yeah, for sure, and that can be pressure, but as you said, if it’s something you’re passionate about and something you care about, you’re going to enjoy every minute of it. Tim: I wanted to ask you a couple, I guess behind-the-scenes question. First of all, when you’re working on a film, how long does that take from beginning to end? Like from when you’re first receiving work, storyboarding, whatever the case may be, to like the actual film being published, how long does that take? And the second part of that, are you ever working on multiple films at once, or is all your attention just focused on one thing at a time? Paul: Right. Well, the Pixar Films usually take probably about four years, and as a matte painter, I would only be on, usually, the last year. Films are kind of broken into pre-production and production, so pre-production would be all the conceptual designs, all the storyboard work. Production would be the actual film that you see on screen. So matte paintings are definitely things that you see up on screen, but when I do conceptual design, that would be stuff that would be early on in a film, that you wouldn’t see until the artbook comes out. But yeah, usually it’s four years. Tim: And then when you are doing that, is it fairly compartmentalized, you know? Like, are you just working on what you see, or are you able to kind of see where the stories come from and where it’s going when you’re working on those things? Paul: Right, because what’s interesting is that you can … We’ll see the films in storyboard film, so you know what the story is about, even though the story might be changing. But you have a sense of what each scene is about, and in terms of matte painting, that there would have been preparatory paintings done before. There would be color scripts that would sort of show you the emotional mood of each scene, so before I’d work on any matte painting, you would know, “Is this happy, sad, good, evil?” And that’s what I think is fascinating, is that you begin to think, you know, “What does evil look like? What does good look like? What does happy, what does sad look like? What colors is happy? What colors are sad?” And that’s what I think is fascinating, is that the human instinct that is inside of us, that you can see something and get a sense of understanding what the character is going through, and all these things are visual. And that’s what I think is fascinating about just our process, is that you’re showing the director visuals. You’re not really verbally describing something. You are doing either a preparatory painting or a matte painting, presenting it to the director, and then they are looking at it and trying to see does that feel like what this scene is about, which is a very long-winded answer. Tim: No, I think it’s interesting to hear about that, and people will appreciate hearing about the process, and just kind of knowing what goes into the movies that they’re watching, so they appreciate that. And I guess I just have one last question for you. You’ve worked on, it seems like, just about every Pixar film, but do you have a favorite one that you’ve worked on, a collaboration that you’ve really enjoyed, or just maybe even a certain part of a movie that you’re just really proud of being a part of? Paul: I mean, even though it was a long time ago, Ratatouille. I really enjoyed working on all the Paris scenes. Paris is a place that I love, and that I’ve been to a lot, and just in the different shots of Paris, that was … It was just a neat collaboration with technical artists. There was a guy named Alex Harvill that I worked with very closely on all those shots, and working with the director. And like I had mentioned earlier, it was just fascinating to see … There were things that I didn’t realize until after talking to the director after the film was done, just how the shots that I worked on were setting up different sequences in the film. And then even one of the last matte paintings that I did, which was a sunset shot of Paris, just I didn’t even realize just what a sunset means, just to have the director telling me that a sunset either is the ending of something or the beginning of something. And I just really … I really enjoy thinking about the emotional reasons behind something, that when you’re doing a painting in a scene … I mean, I think people would be happy to know just how much thought goes into every single shot, especially in an animated film like this, where everything has to be built, and painted, and designed. I think in a way, that’s what I loved about Star Wars, was it was a whole world that was created. If you think about Star Wars, every single thing had never been seen before and was designed, and somebody thought about it, and somebody cared about it. And that’s what I think is enjoyable about the work that we do, is that whenever we’re working on a scene, there’s a narrative. There’s a story. There’s a character. There’s somebody wanting something, somebody trying to do something, something happening to that person in each one of these scenes. It’s not just a sunny day for McQueen and Mater. There are story reasons behind every single thing that we do that I find fascinating. So each scene that you’re working on, you’re always trying to ask this question, “How do I show this?” You know? And in a way, it’s almost like … An actor is always asking, “Who am I? Where am I going? Where have I been?” And in the same way, an artist is thinking about that for whatever painting they’re doing. So that’s what I think is so interesting, is just this idea of a story, and what are you trying to say. You know, I always think about a production designer that I love working with, Ralph Eggleston, who always is asking, “What am I looking at?” And I think even as students or teachers, you should be … When you make a piece of artwork, “What am I looking at?” What are you trying to say? What story are you trying to tell? Tim: … will look forward to hearing from you even more at the Conference in a couple weeks. Tim: All right, thank you. Paul: Thank you. Thank you too. Tim: Wow, that is a lot of amazing information, and quite a few great stories coming from Paul. You know, I love hearing about all the different parts that go into films, and all the different jobs he has done, you know, from matte painting, to storyboarding, and concept design, modeling, everything that he talked about. 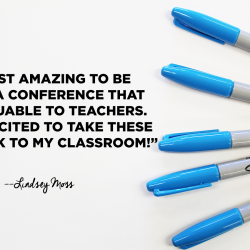 You know, and I think that is actually a great takeaway, a great thing that you can take back to your kids in your classroom as well. You know, animation, and just working on movies in general, is not as limited as we think. You know, there’s so many parts that keep things moving, so many things that need to be developed and created, so many skills that are in demand. You know, it’s a lot wider universe than a lot of us think. 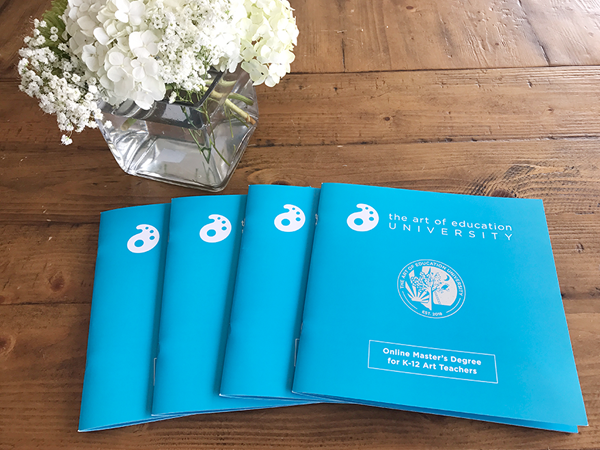 But if you want to hear even more from Paul, even more about his time in Hollywood, some behind-the-scenes ideas, and some awesome stories, make sure that you are registered for the Art Ed Now Conference. You know, as we said, Paul is going to be our featured presenter there on February 2nd. You can hear a lot more from him. You can see some of the work he’s created for all of these great movies, and even ask him your own questions during the Q&A session at the conference. So if you’re not registered yet, make sure you do that soon, at artednow.com. All right, so let’s wrap it up. Thank you to Paul for the hospitality, for being a great interview, and thanks in advance for his wonderful presentation that will be coming to you on February 2nd. I can’t wait for you to see it. 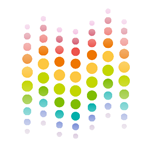 Art Ed Radio is produced by the Art of Education University with audio engineering from Michael Crocker. Thank you for listening. We will be back next week with Rachel Albert, another Conference presenter, talking about her upcoming presentation and how to make the most of your experience at the Winter Conference. We’ll talk to you next week.